Living by the waterfront, chilling in a log cabin - does that sound like the kind of life for you? You might want to consider becoming a beaver. Those furry little animals get lakefront property and a sweet lodge for partying. What else could you need? Beavers are the hardest working animals in the den building business. Gathering twigs, smacking that tail, fishing, and the gnawing... you gotta gnaw all the time! To say that Beavers need a vacation is an understatement. 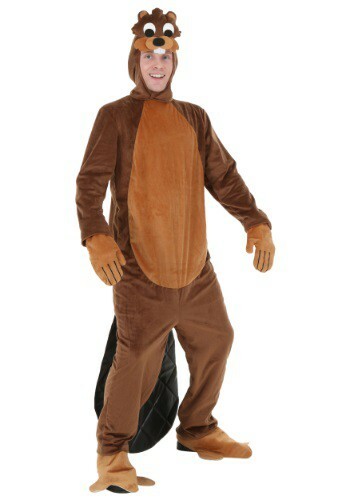 They gotta let loose like any other animal from time to time, and this Adult Busy Beaver costume is going to get you into the party and really lift that stress. You deserve it! That den will get built tomorrow, because for now, we dance! Some animals are just amazing, and beavers are definitely in that group. They're like the architects of the animal world, very smart, and they know how to use those big flat tails as useful tools. You ever dreamed of having your very own lodge? You might think you've got to call a real estate agent to make that happen, but no way, you just need this plus size beaver costume! Now, we don't recommend getting to crazy with just that... be sure to wear a hard hat first. Some kids just love to overachieve. They can't sit still, they gotta move, move,move, and they gotta build, see the world, do their homework, and go, go, go! There's nothing wrong with that (although we recommend relaxing with a Halloween party once and awhile) so what do you get your child if that's exactly how they are? 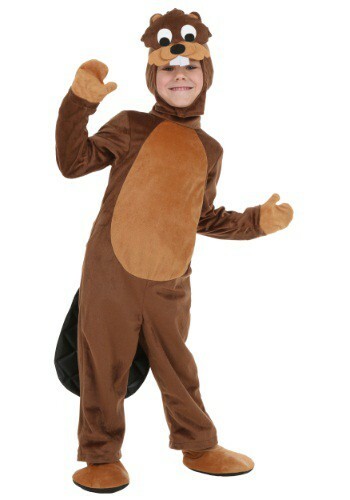 Let us recommend this Busy Beaver costume for kids! It will reflect their nature to get things done while also being adorable. That dam? It's going to be done in no time with your little guy on the case! Some kids are natural architects. Think about it. Does your child help you make awesome forts out of pillows and blankets? Does he use building blocks like a pro? Does he really wish he had a super cool tail? Alright, so maybe that last one isn't the mark of a natural HUMAN builder, but it's worked out pretty good for beavers in the animal kingdom! 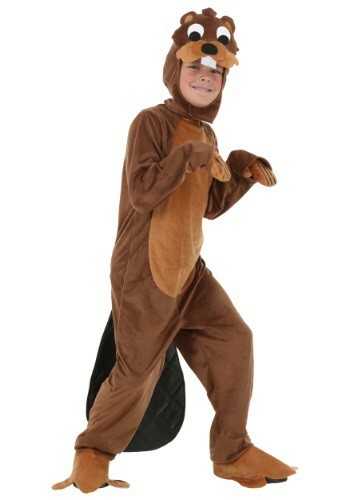 That's why this adorable Toddler Beaver Costume is perfect for your little builder. Not only does he get to put his awesome building skills to the test, but he also gets a super cute tail.